MCL Land’s Parc Esta, the much-anticipated launch at Sims Avenue in Eunos, chalked up sales of 329 units on the first day of sales on Nov 17. This works out to 73% of 450 units released. The most popular unit types were the one- and two-bedroom units which range in size from 420 to 624 sq ft and 581 to 1,023 sq ft respectively. Average price of units sold was $1,680 psf. The four biggest property marketing agencies were involved in the sale of Parc Esta: PropNex, ERA, Huttons Asia and OrangeTee & Tie. PropNex agents collected about 250 cheques as expressions of interest in the weeks leading up to the launch. Of those collected, 140 converted into actual sales, which is a 56% conversion rate, says Gafoor. “There are those who like the east – with its proximity to the beach, leisure activities and yet close to the downtown area,” adds PropNex’s Gaforr. “The buyers were convinced of the development’s luxury resort design concept and high-specifications,” For instance, kitchens come with designer fittings and SMEG appliances; en suite bathrooms are fitted with branded sanitary fittings from Hansgrohe and fixtures from Villeroy & Boch. Units are also equipped with the latest in smart home technology. 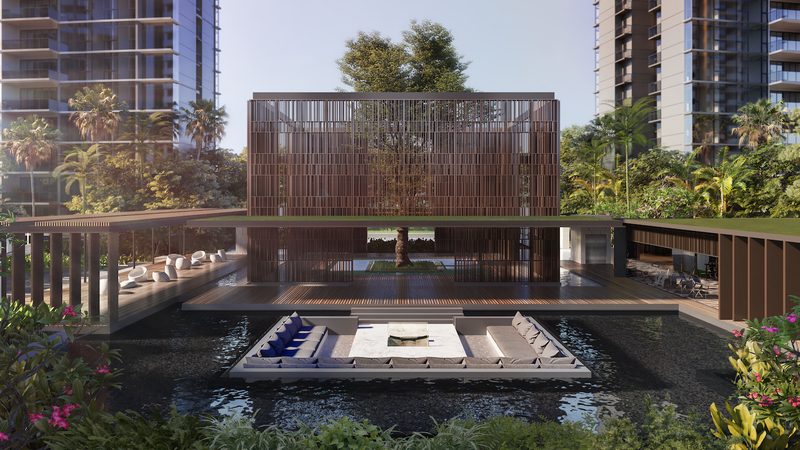 Parc Esta’s design architect is the award-winning architectural firm P&T Group, with Ecoplan Asia as the landscape architect. Hongkong-based PTang Studio, a multiple award-winning interior designer, was chosen to design the show suites at the sales gallery.